Aww yieeeeh. Vishnu from the free draw, bois. Aww yieeeeh. Shiva from the free draw, bois. Vishnu, Vishnu, Agni, Vishnu, Lakshmi, Varuna, Varuni. 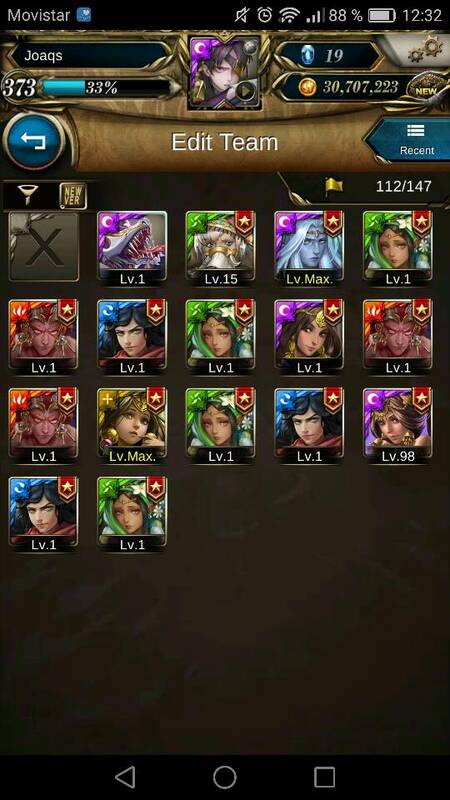 14 draws for a rare, got Vishnu so I'm happy. Aww yieeeeh. Lakshmi from the free draw, bois. Notably drawing during the rate up? I got Parvati, Parvati, Agni and Brahma. Was done with the seal but I wanted a dupe Lakshmi to max skill mine, got Shiva in the third draw (dupe Lakshmi in the second) so for me 21 draws for the full set. Did 12 draws, 0 rares. Last week did 2 draws cos my hands were itchy: Agni and Varuni. Not bad, got 7/8 of the Hindu Gods, I might not even attempt to draw Brahma because I’m not in favour of Fire Gods plus I’m going to save those diamonds for the future (I’m a diamond hoarder lol). The only good thing about these dupes is that they are very useful for skill levelling (so i can save Harpies), but otherwise quite salty about my luck (or lack thereof). Actually I’ve got a question that I’ve been wondering for the past few patches. For those free draws, let’s say I draw it today, does it follow the rate-up rate (2.5% for jackpot etc) or the normal (1% for jackpot etc) rate? I never found out cos excited me would draw it the exact day it came out. (08-21-2018, 12:45 AM)Fauxy Wrote: Aww yieeeeh. Vishnu from the free draw, bois. Me too! and the sklv 7 one too!